Filled with Romance, Castles, the Alps and History! This fantastic tour of Europe includes 6 countries. You will visit Holland, Switzerland, France, Germany, Belgium and the tiny country of Liechtenstein. The Alps are the most beautiful mountains in the world! Your tour will experience the beauty of the Swiss Alps and the German Alps. The Alps are like a diamond…Marvelous, Multifaceted, Mystical, Mysterious, Magnificent and Mesmerizing! See The Highlights of Your Tour! Our tour will take you to the cities of Amsterdam, Brussels, Paris, Luzern and Munich. We will explore Mad Ludwig’s castles, the palace of Versailles and the fantastic rock castle island of Mont Saint-Michel. But the real highlight of the tour will be the many small villages you stay at and explore! Amsterdam Netherlands / Holland: You will visit Amsterdam, take a ride through the canals and visit working windmills. Bruges Belgium: This ancient canal town, considered by many to be more impressive than Amsterdam (will be one of your highlights). You will also visit Brussels. Normandy Coast of France: You will visit the Normandy landing beaches of World War II and The American Cemetery. You will also experience the walled castle island of Mont Saint Michel (another highlight day). 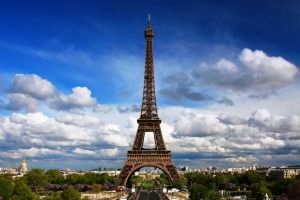 Romantic Paris France: We will visit Versailles (the Palace of the Kings of France), tour the Louvre, visit the Eiffel Tower, experience Notre Dame and a lot more. We will take a high-speed train from Paris into Strasbourg. Explore the charming town of Strasbourg. Enjoy the fantastic quaint village of Zermatt located at the base of the Matterhorn. Experience the beauty of the Swiss Alps and German Alps. You will visit Interlaken and stay in the beautiful village of Grindelwald at the base of Eiger. You can add another pin in the map when we stop in the tiny country of Liechtenstein before driving to the German Alps. Oberammergau & Mad King Ludwig Castles in Germany: Oberammergau is a beautiful mountain village and home to the Passion Play that is performed every 10 years. You will also visit Neuschwanstein Castle built by King Ludwig. Neuschwanstein Castle was the inspiration for the Disneyland castle. Add Munich and the concentration camp of Dachau and you have a very special tour you should not miss. With the large discounts, we have negotiated in hotels and transportation, you would never be able to do if for less even on your own. 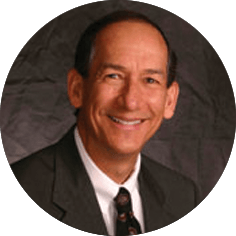 With our experienced staff and educator, you will know exactly what should be seen and how to get there. You would spend more than 3 weeks trying to do this fantastic tour on your own and you would be without our phenomenal educator. This special designed tour brings you the best the Alps have to offer in Switzerland and Germany. The alps are like a diamond – Marvelous, Multifaceted, Mystical, Mysterious, Magnificent and Mesmerizing! High speed train from Paris to Strasbourg. Hotels on this tour are 4 & 5 star in the cities. The hotels in the Alpine villages: Grindelwald and Oberammergau are 3- 31/2 star. It is worth the experience to stay in these quaint mountain villages even though they do not have 4 & 5 star hotels that can accommodate groups. All transfers to and from airports and your high speed train. Cog wheel train to Wengen. $900 in entrance fees and train tickets. You can also purchase your own airfare. panoramic view of Eiger, Monch and Jungfrau massif! Early morning arrival into Amsterdam. We will spend the day touring Amsterdam and even explore the canals and visiting Ann Frank’s House. We will also visit a living village museum, with actual houses and working windmills dating back 100 years. We will overnight Amsterdam. 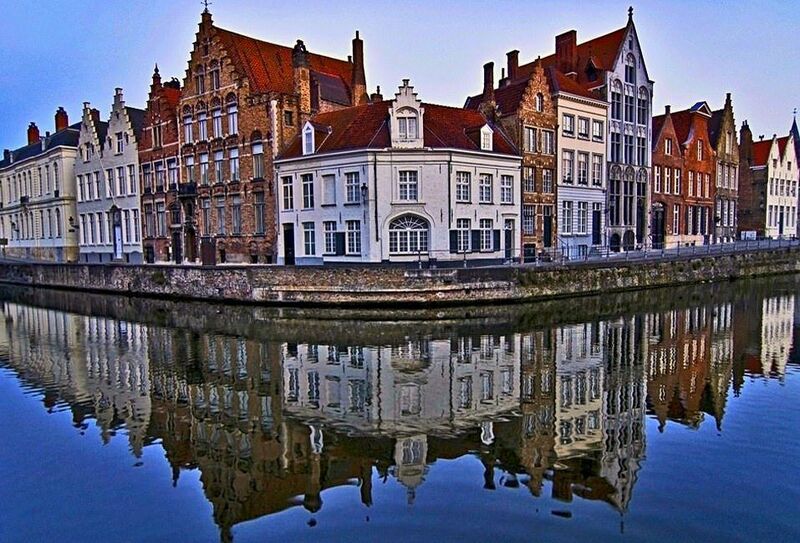 Today we will take a two-hour drive to Brussels where we will experience the canal city of Bruges. The old city has kept its atmosphere of what it was like hundreds of years ago with its cobblestone streets, ancient canals and old houses. We will also take a tour of Brussels before returning to our hotel. 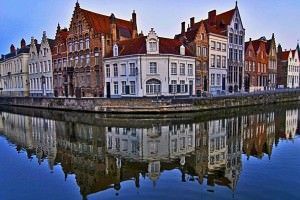 We will drive through the Belgium countryside into France and down to the Normandy Coast. We will transfer to our hotel in Caen near the Normandy Beaches where we will stay for the next 3 nights. Today’s tour includes the World War II Normandy Landing Beaches and The American Cemetery. We transfer back to our hotel after we are done touring. This will be another highlight day. Today we travel down the coast of France to the majestic island of Mont Saint Michel. This castle which looks like a walled city is located on an island just off of the coast of France. It was built approx. 700 years ago and today it looks and feels the same. We will return this evening to our hotel. This morning we will take our approx. 3 hour drive to Paris. Our stop today will be Versailles, the opulent palace of the Kings of France. We will tour the inside of the Palace and then head to our hotel in Paris. Today will be a full day tour of Paris. On our tour of Paris, we will visit the Louvre Museum and it’s Mona Lisa, tour Notre Dame Cathedral, visit the Eiffel Tower and have time to explore a little on your own. We overnight again in Paris. This afternoon we will send our check in luggage by bus to Strasbourg. They will be waiting for us tomorrow when we arrive into Strasbourg, France. We will have a free morning in Paris. We will then travel by high-speed train direct to Strasbourg to meet our buses. From there we will head to our hotel to overnight. We will have a half day walking tour, with a free afternoon to explore this charming french town. Definitely one of the highlights of the entire tour! We will depart in the morning and head to Bern for a two hour walking tour. 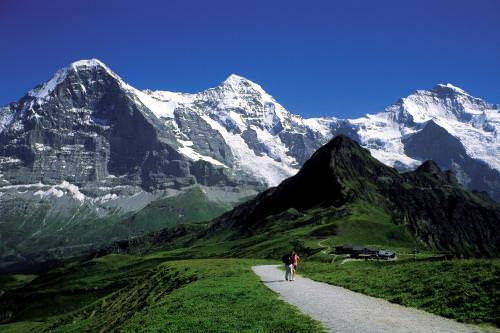 After a stop to explore we will head into the Alps to the village of the Glaciers – Grindelwald. We will spend three nights in this quaint village. We will depart our hotel early morning for a short drive to the train station. We will take the train to Zermatt where we travel through Switzerland’s beautiful Alps. On arrival we will have free time to enjoy this picturesque town. There will also be an additional option at an extra cost for those who want to take the cog-wheel mountain train up to the Gornergrat at over 10,000 ft! From there you have the opportunity to see the highest mountains of your trip, including the majestic Matterhorn. After our visit of Zermatt we will take the train back to Grindelwald where we arrive back to our hotel late this evening. Today is a highlight LOOKY-LOOKY day !! Our first stop is in Lauterbrunnen, where you will see jaw dropping rock formations and waterfalls. A little bit further, in this same valley, you visit the Trümmelbachfälle, a series of ten waterfalls “inside” the mountain !! It is one of the wonders of the world and even after seeing them, you will still not believe it….! Bring warm clothing and a rain jacket, it is cold and wet. Just after this, comes the next highlight. We take the cog-wheel train to Wengen and we stroll in this charming mountain resort. In January the longest downhill race, the “Lauberhorn” takes place on these slopes. The views will remain in your memory in the drawer of the “unforgettables”. 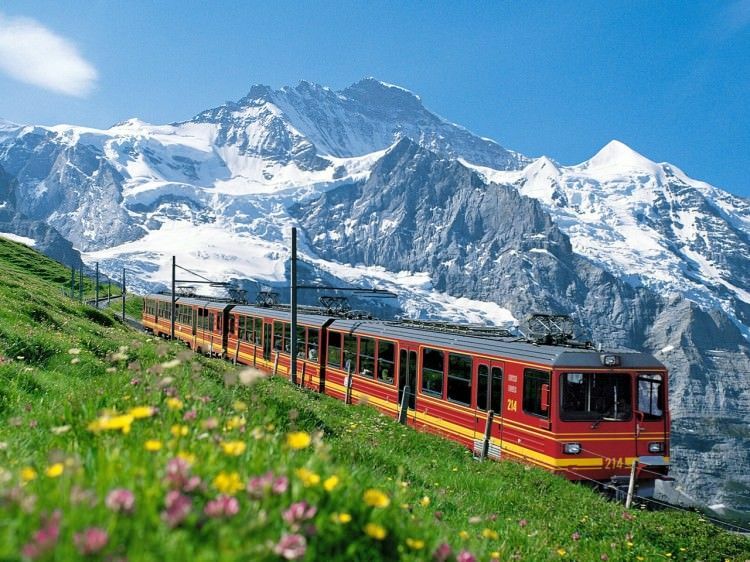 You will enjoy the majestic wide-screen panorama of the Jungfrau Group from your train ride. It’s a fabulous day and you can pace it as you please. Overnight Grindelwald. Over the Brünig Pass you reach the Central Region of Switzerland. We will make a short stop at Lake Lucerne, which is one of the most scenic in the country. Afterwards we will head to the tiny country of Liechtenstein to make another short visit. The day will continue with a beautiful drive as we head into the German Alps and the quaint village of Oberammergau. Oberammergau is the home of the Passion Play that only happens every 10 years. The village has hardly changed in over 400 years. We will spend two nights in Oberammergau. A relaxing day! We drive to the splendid Wies-Church, a baroque-rococo jewel so stupendous, that it was put on the cultural list of the UNESCO World Heritage Sites. When we continue, you can soon gaze at another folly of King Ludwig II, Neuschwanstein Castle. With local minibuses, we will ascend the mountain and have a short walk to a spot where we have a splendid view of “Cinderella’s castle”, We will then visit this “romantic dream”, built to revive the German Epic Sagas. We will return early afternoon to Oberammergau where you will have time to explore and shop. This morning we will travel through the German Alps to Munich for our city tour and a visit to the concentration camp – Dachau. We will overnight near the airport as you fly home tomorrow.